Euro Key & Turn Cylinders with a Key on one side and a turn on the other. Euro Offset Key & Turn Cylinders with a Key on one side and a turn on the other. Restricted duplication G series profile keyway. All Euro cylinders are supplied Bump Key Resistant. Cisa C3000 cylinders offer the perfect balance between safety against attacks, protection against key duplication. Cisa C3000 cylinders offer the perfect balance between safety against attacks, protection against key duplication. Thumbturn cylinders with a Adjustable shaft. 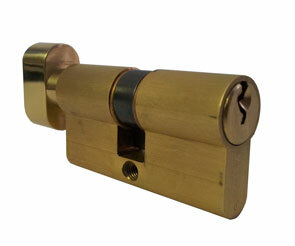 Standard Security Euro Profile Cylinder with traditional keys. Union offer a variety of traditional cylinders to meet the demands of every application.